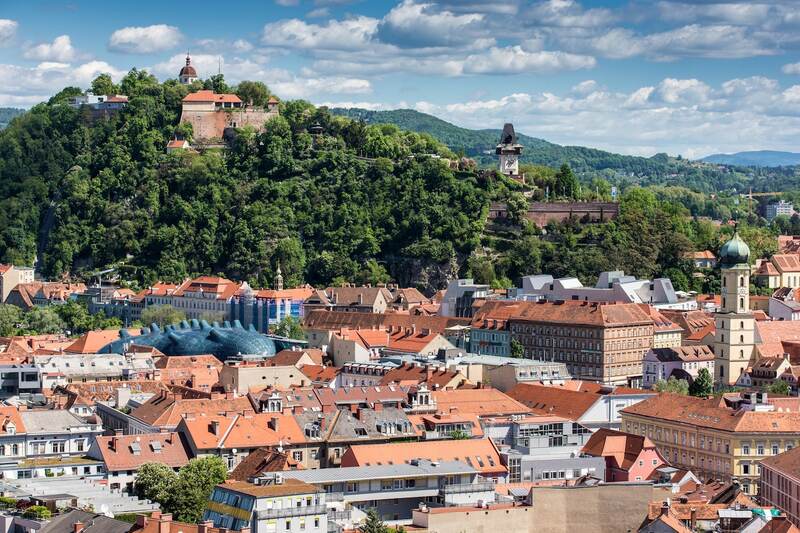 In our first year, the APEX conference is held in Graz, Austria. Easy to reach with all means of transport: train, car, plane. Located in the city center, everything is within walking distance. On the night before the conference will also be a special Ask an ACE session with all attending ACE's. Dietmar Aust is working as a freelance consultant in Germany, focusing on Oracle Application Express and Oracle XE. Starting in 1997, he worked for three years as a consultant for Oracle in Germany. Since then, he has helped numerous leading companies in Germany to successfully deliver web-based applications based on the Oracle product stack, especially the Internet Application server – Oracle Portal and Reports. He is a regular presenter at various Oracle conferences (ODTUG, OOW, DOAG), conducts training classes on APEX, and co-authored a book on APEX best practices in German (Oracle APEX und Oracle XE in der Praxis), as well as Expert Oracle Application Express in English. He was awarded Oracle ACE status in 2012 and the database developer of the year award in the ORDS category in 2015. Find out more about him at http://www.opal-consulting.de or http://dietmaraust.com . Marko Goricki is Software Consultant at BiLog, a company specialized in Oracle technologies. In the past ten years his primary focus is Oracle APEX and related Oracle and Web technologies. He was a speaker on ODTUG's KSCOPE, APEX World and some of the local Oracle user group conferences (HROUG, SIOUG). He's active participant of the Oracle APEX community and he has an APEX-related blog at apexbyg.blogspot.com. On apex.world he was voted for a Member of the Year 2017. I began my journey as an APEX developer back when Oracle released version 3.1 – this was in 2008. Since then I worked on a daily basis with APEX and with the complete Oracle Database stack. It was always an important duty for me to go deep into topics or even beyond that.Since 2015 I´m an active open source developer on GitHub and I also helped creating apex.world and APEX Theme Styles. Both, known APEX community projects. Sharing cool and helpful projects and knowledge with other developers around the globe was and is a great experience for me. My name is Joel Kallman. I am the Director of Software Development at Oracle, and I manage the development and product management of Application Express (APEX) at Oracle. I've been at Oracle since 1996, and my VP Mike Hichwa and I created Application Express in 1999. My passion is to make customers extraordinarily successful with the Oracle Database, PL/SQL and Oracle Application Express. Christian Klingbacher is senior consultant for Oracle APEX at Altran Concept Tech GmbH in Graz, Austria. He has much experience in integrating OpenLayers into APEX applications where his focus is on the area of risk assessment and solutions for law enforcement agencies. Christian is also a speaker on Oracle conferences and the organizer of the APEX Meetup in Graz.Co-Presenter: Andreas Hocevar is an accomplished open source developer; he is an active steering committee member for both OpenLayers and GeoExt. Andreas has been working in geospatial for almost 20 years, and is a frequent teacher and speaker. Aljaž Mali is an Oracle ACE Associate ( from December 2017 ) and an employee of Abakus Plus, d.o.o, where he works as IT solution architect. He has been working with Oracle Application Express since its very beginning (HtmlDB 1.5). His main focuses are application development as well as consulting and education about Oracle Application Express. In year 2015 he became a member of Slovenian Oracle User Group (SIOUG) executive committee. In year 2016 he was selected as a member of the month (March) at apex.world portal and in January 2017 he was elected as a SIOUG Vice president. He is a frequent speaker at local Oracle conferences (SIOUG, HrOUG, SrOUG). Niall Mc Phillips has been developing using Oracle since Oracle V5, has been using Oracle PL/SQL Web technologies since 1995 and Oracle APEX since 2005. Niall has developed a number of large, multi-lingual applications for multinational companies and organizations all over the world. Several of these receive tens of millions of views per year. Niall is a strong believer in APEX solutions because of their stability, scalability, and rapid development speed. Niall is the organiser of the Swiss APEX Meetup group. Alex Nuijten is an independent consultant (allAPEX), specializing in Oracle database development with PL/SQL and Oracle Application Express (APEX) and member of the Smart4APEX Guild.Besides his consultancy work, he conducts training classes, mainly in APEX, SQL and PL/SQL. Alex has been a speaker at numerous international conferences, such as ODTUG, Oracle Open World, UKOUG, IOUG, OUGF, BGOUG, OGH APEX World and OBUG. For his presentations, Alex received several Best Speaker awards.He wrote many articles in Oracle related magazines, and at regular intervals he writes about Oracle Application Express and Oracle database development on his blog "Notes on Oracle" (nuijten.blogspot.com). Alex is co-author of the following books “Oracle APEX Best Practices” (published by Packt Publishers) and “Real World SQL and PL/SQL” (published by Oracle Press).Because of his contributions to the Oracle community, Alex was awarded the Oracle ACE Director membership in August 2010. Peter Raganitsch is the CEO & co-Founder of FOEX GmbH, an Austrian IT company focused on developing the FOEX Plugin Framework - a Rapid Application Development tool meant to extend the current capabilities of the Oracle Application Express and simplify the way enterprise-grade web applications are being built. Having more than 20 year of experience in using Oracle technologies, Peter is an Oracle ACE Director sharing his knowledge through articles, trainings and webinars. Christian Rokitta is an independent Oracle consultant with more than two decades of experience in Oracle Database development and web development. Since 1998, he has used the Oracle Web Toolkit and mod_plsql to develop data-centric web applications in Oracle environments. Using the APEX development framework was the logical next step.Christian is German, but for the past 15 years he has lived and worked in the Netherlands. From 1996 to 1999, he worked as a custom development consultant for Oracle Netherlands. In the 10 years that followed, he acted as consultant and product development manager for Scamander Solutions. In April 2010, Christian became an independent Oracle consultant and founded themes4apex, a service that offers custom APEX theme design, and developed the commercial APEX SmartPivot plug-in. John Edward Scott has been using Oracle since version 7 (about 1993) and has used basically every release since then. He has had the good fortune to work on a wide range of projects for a varied group of clients. He was lucky enough to start working with Oracle Application Express when it was first publicly released and has worked with it nearly every day since (and loves it).John is an Oracle ACE Director, was named Application Express Developer of the Year in 2006 by Oracle Magazine, and is the author of the best-selling book Pro Oracle Application Express. He is also the co-founder of APEX Evangelists (www.apex-evangelists.com), which specializes in providing training, development, and consulting specifically for the Oracle Application Express product. Geertjan is an Oracle JET product manager. 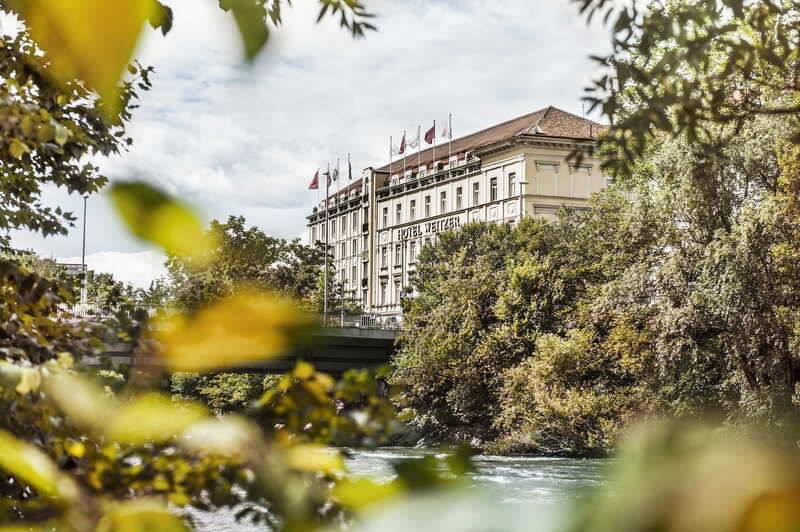 label In the city center of Graz, Hotel Weitzer has a long tradition of hosting great conferences. Enjoy a great venue while listening to great content!